If you’re moving to Europe from the United States, porting your phone to Google Voice and then buying a SIM card is cheap, easy, and allows you to keep access to your beloved U.S. mobile number. By the end of this post, you’ll be able to leave your current provider and have your first 5GB of data in your new country for about $30. The process described below is best for people actually moving to another country and still want access to the U.S. number. If you’re going on a quick trip, it won’t be necessary to transfer your number as you’ll likely want to easily return to your number upon arrival home. IMPORTANT: I highly recommend creating your Google Voice account and beginning the porting process described below 24-48 hours before your departure time. This gives you enough time to complete the necessary U.S. based verification. Keep in mind that once you port your number, your mobile agreement with Verizon, ATT, etc. will terminate. If you have not paid off your phone (as is the case for most newer plans) you will be billed for the remaining balance on your final bill. 1. Create a Google Voice account. Let me first explain what Google Voice will and will not allow you to do with your current mobile number in a foreign country. have one app (Google Voice) that allows you to manage your phone calls, voicemails, and messages. accept or make phone calls without wifi, paying for minutes through Google Voice, or setting up another data service. 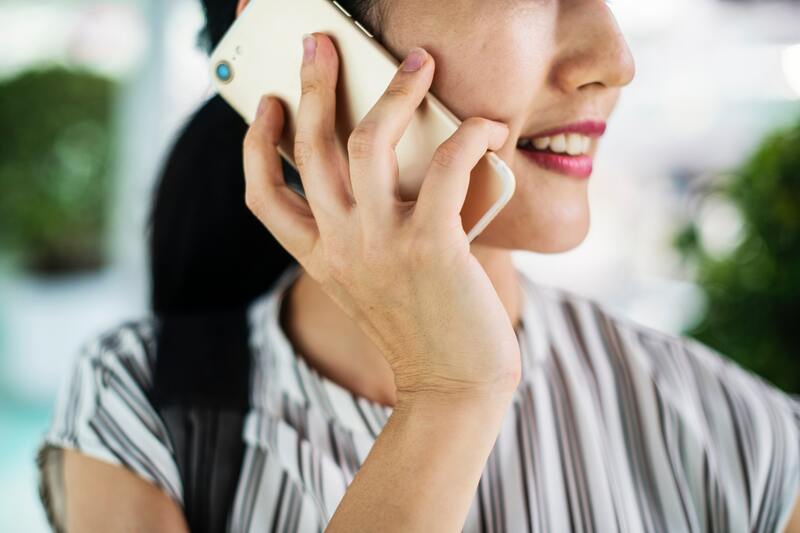 The benefits of using Google Voice totally outweigh minor disadvantages and is way cheaper than keeping an expensive U.S. mobile international plan. Now that you have a basic understanding of what to expect, get started by creating your Google Voice account. Be careful to choose the correct email in the beginning and go through the process of creating a Google Voice number (this will be replaced automatically once your current mobile number is ported). Then, download the Google Voice app on your mobile device and any other devices that will have access to WiFi while you’re abroad. 2. Port your U.S. mobile number to Google Voice. This part of the process will cost you $20 and will require that you know your current mobile plan’s account number, billing information, and pin/last 4 digits of your social. This information helps Google connect to your provider, verify you have the privilege to make this change, and then port the number. Once you’re logged into Google Voice on your desktop, at the top left, click the Menu icon > Legacy Google Voice. Google Voice will look different, but you’re in the right place. At the top right, click the Settings icon > Settings. Click the “Phones” tab. If you do not see a “Phones” tab, you will need to create a number for the account. Any number will do, you will replace this with the ported number. Next to your current number, click Change / Port. Select I want to use my mobile number. Follow the onscreen instructions to set up your new number and pay. Check the status of your number porting. Numbers take from 24 to 96 hours to port. However, if there’s an error with your request, like you entered the wrong pin, you will immediately see an error in red text and receive an email. If you encounter this, keep refreshing the page until you’re prompted to re-enter your information. This part was the most fuzzy and had little documentation, but somehow my frantic clicking and reloading allowed me to discover this. Once your information is correct, the status page will give you an estimated time of completion. Once your number is ported, all phone calls and SMS messages will be sent to your Google Voice account. It’s important to note some nuances about Google Voice. When you’re using the mobile app and someone calls you, you will only receive a notification for a missed call and/or voicemail (assuming you set the optional notifications to on). This was confusing to me at first because on desktop you can actually hear a ring and pick up a phone call via Google Hangouts. For me, it’s enough to see a missed call/voicemail and then can call the person back. Not the end of the world. 3. Create a new voicemail letting your U.S. friends know how to reach you. Now that you’ve ported your number, time to let those calling you know what the deal is. I’d keep in mind the range of people calling you… family, friends, doctors, employers, etc. and write a script accordingly. I used the following script to indicate how I want others to communicate with me while I’m out of the U.S. Feel free to use this directly (assuming you have iMessage and Facebook) or edit it however you’d like. “Hi, you’ve reached <your name here>. I’m currently traveling in Europe and no longer have access to a U.S. based phone line. If you’d like to get in contact, please send me an iMessage or email to <email address here>, or you can find me on Facebook. Once you have your script ready, navigate to your Google Voice account. Click the Menu icon > Settings > Scroll down to Voicemail > Record a greeting. 4. Buy a local SIM card. Before you leave the U.S. I recommend checking whether or not the mobile device is unlocked and compatible with foreign SIM cards. Most mobile devices are compatible, but if you have an older phone, you may need to upgrade, and if your phone isn’t unlocked your provider will tell you what you need to do. Once you get to your destination, go to your local electronics shop (mine was less than a kilometer away) and ask for a SIM card. I got a 5 GB SIM card for €9,95 or about $11.30. This is in Amsterdam… prices and availability may vary depending on where you are in Europe. Take the SIM card home, pop out your old SIM card with a safety pin or something similar and replace it with the new SIM card. You’ll have to activate your card by calling a number and pressing a button. The SIM card packaging will have this info or you can try calling someone and listen to the prompt on how to activate your SIM card. Once you run out of data, you’ll just have to reload your SIM card, which you can now do through apps that you download on your mobile device. Simple! 5. Remember all of the ways you can communicate. While you may lose the access for someone to call you immediately on your U.S. mobile number, you still have SO many free options to communicate with others around the world. I’ll list a few below in the event you need some inspiration. Lastly, remember you’re in a foreign place with different traditions and culture. Embrace this by not living on your phone. Talk to a stranger, go to meetup events, and phone home only when you need to. I hope this information helps and that you have a fantastic trip! Get the latest from Growth Gal to your inbox! Pump up the jam! A playlist for Growth, the reality.